San Francisco is always on the edge of Right Now. Despite its laid-back approach to life, SF, and its cousin to the south, Silicon Valley, are home to technological innovations that have changed how how we experience the world and each other. Think: Apple, Google, Salesforce, Facebook. While I love living in a city that is one step ahead of much of the nation, sometimes all this “Right Now-ness” leaves me feeling disconnected and adrift (despite all my connectivity and GPS apps!). 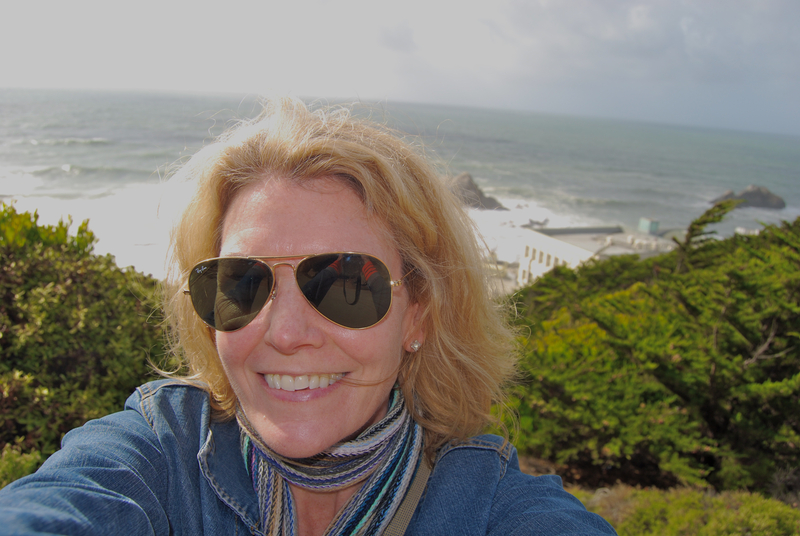 To reconnect and re-anchor myself to myself and the world around me, I like to visit to Sutro Heights Park. Sutro Heights is the former home of Adolph Sutro, the 24th Mayor of San Francisco and innovator of his time. Born in Germany, 1830, Adolph came to SF in 1851. He made his fortune in 1859 with the Comstock Load (the discovery of silver ore in Nevada) by developing the Sutro Tunnel – a way draining water from deep underground so that the silver could be mined. How fitting that one of San Francisco’s forefathers would be an entrepreneurial pioneer! Adolph Sutro. Mutton chops the envy of hipsters everywhere. 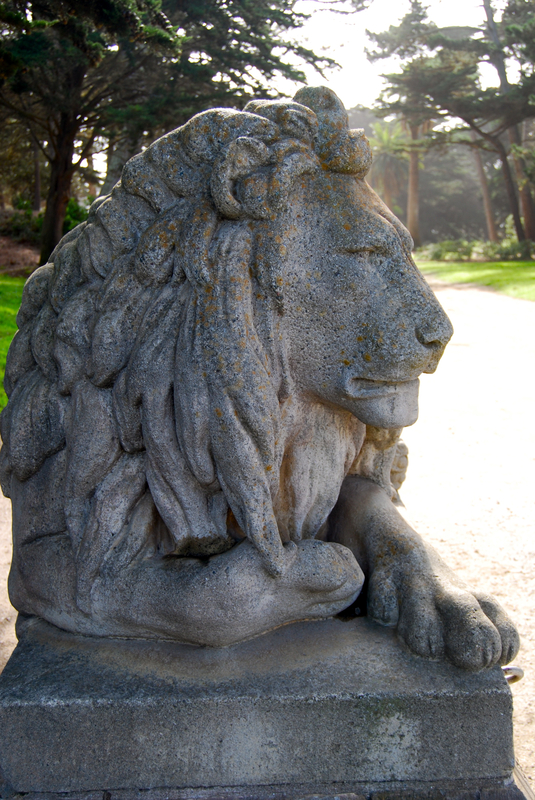 Here he is on the grounds of Sutro Heights. To learn more about Adolph Sutro, click here. 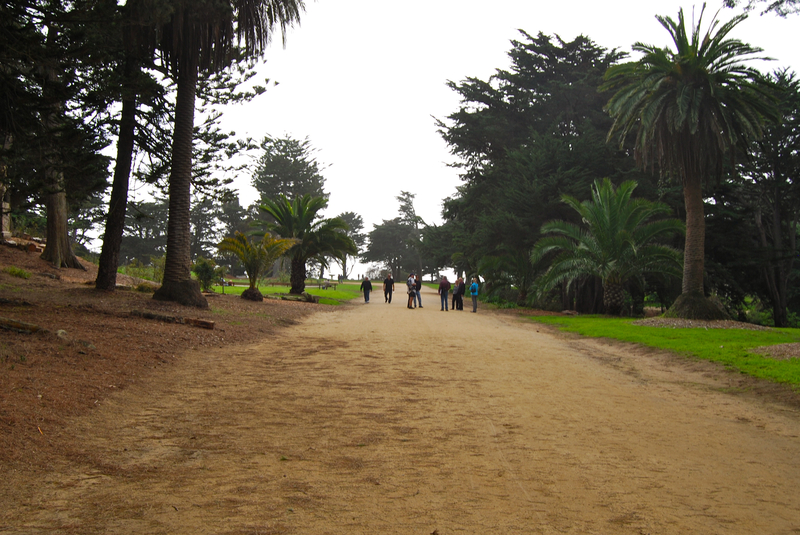 In 1881, Sutro purchased a 22-acre parcel of land in the northwest corner of the city over looking the Pacific. He developed a large Victorian-style garden complete with elaborate flower beds. It required 15 gardners to maintain the grounds. In 1883 he opened the grounds for the public to enjoy. 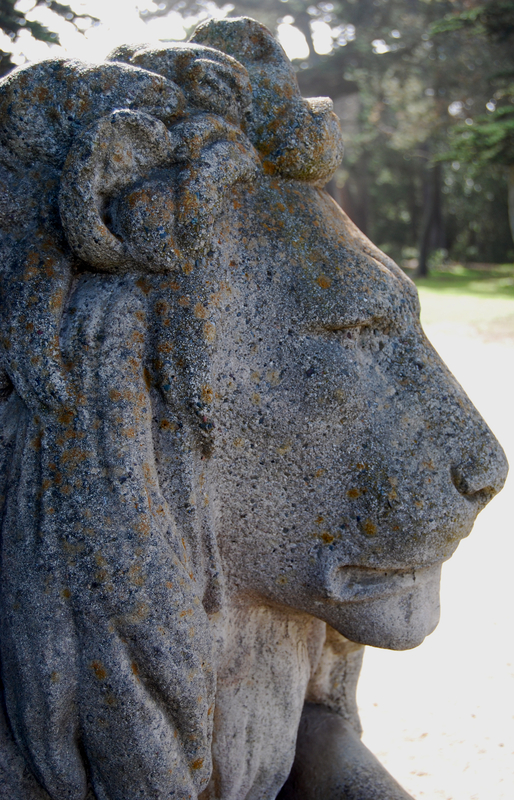 One of two mighty lions to greet you at the entrance to the park. Such a handsome fellow deserves a close-up. Palm Avenue. The ornate flower beds are gone but it is still a pleasing (and flat) stroll. Diana, goddess of the hunt, the moon, and birthing (who knew?). 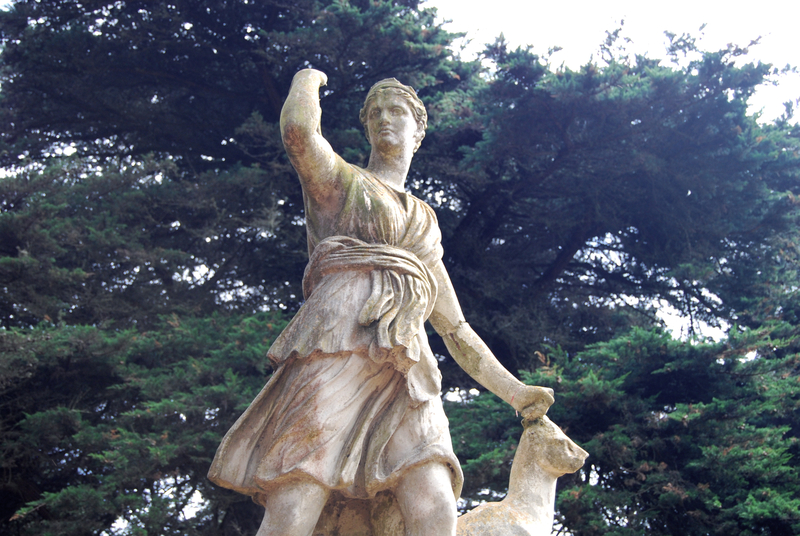 During Sutro’s life the grounds were decorated with replicas of Roman and Greek statues. Diana is one of the few remaining today. 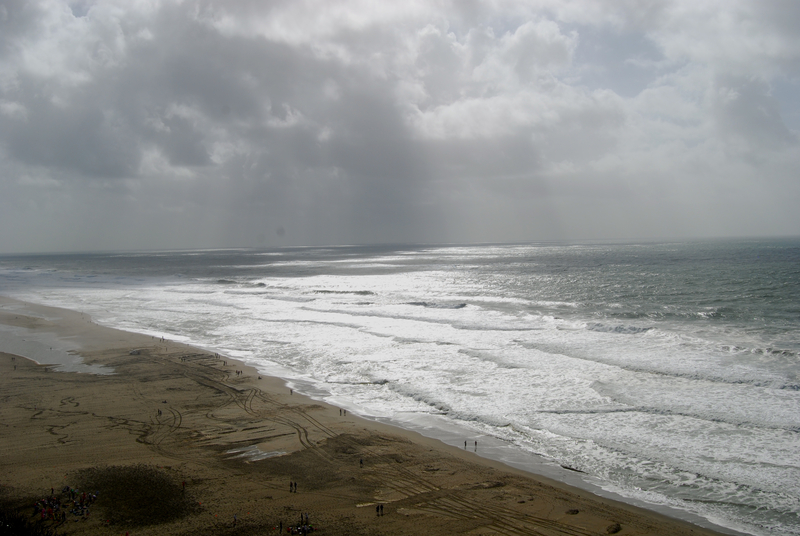 The view of Ocean Beach from Sutro Heights. One never grows tired of it. One of the few remaining outbuildings on the property. Sutro died in 1898. His daughter, Emma, lived in the house until her death in 1938. 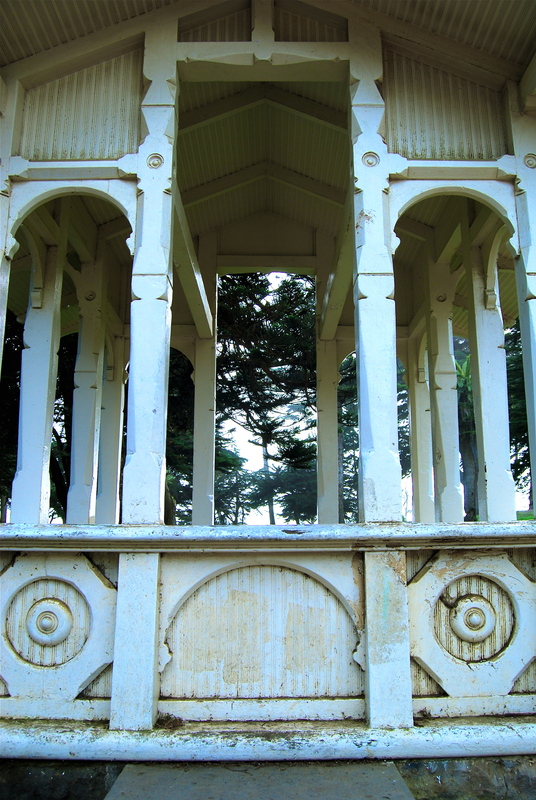 The property became too expensive for the family to maintain and they donated it to the City of San Francisco in 1939. The CCC (and her really bad hair) were here. 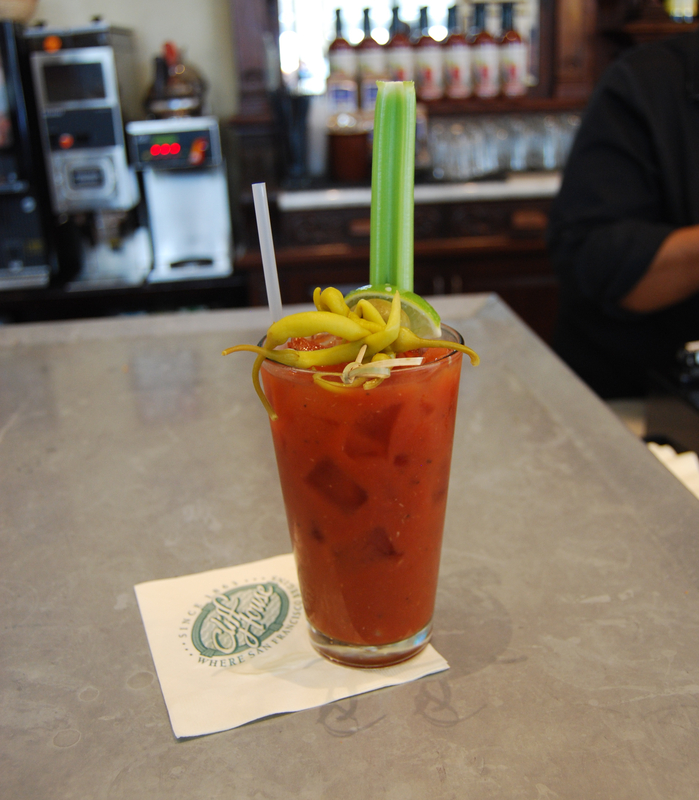 The Cliff House’s proximity to Sutro Heights Park makes it an ideal spot for a post-park libation. 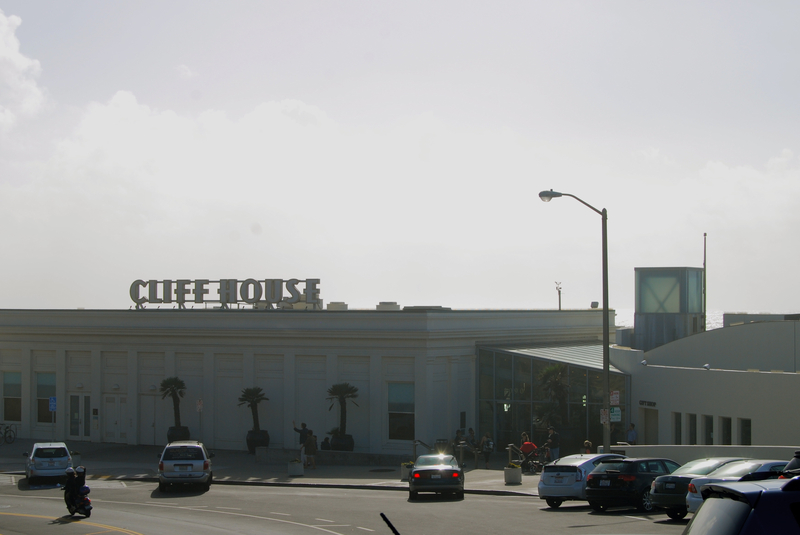 Adolph Sutro built the second version of the Cliff House in 1896. It survived the 1906 earthquake only to be destroyed in a fire a year later. Today’s building is a renovation of its third iteration built in 1909. The Cliff House makes a mean Blood Mary. The garnish were tiny pepperoncinis. Delish! 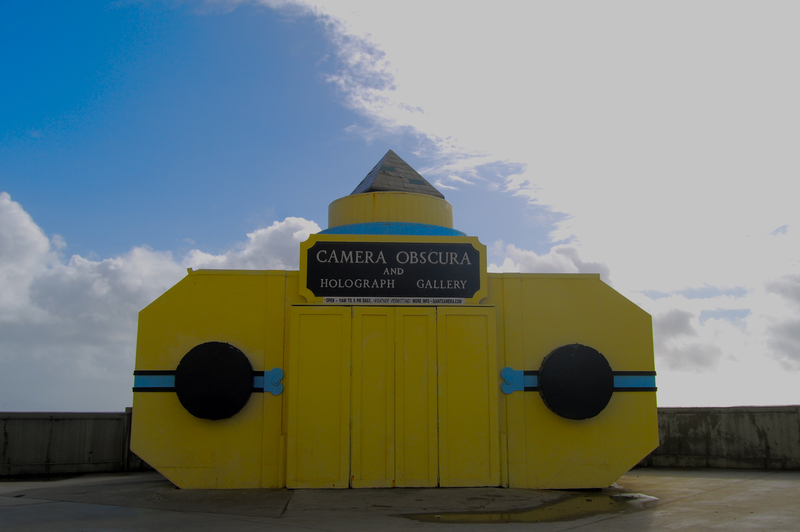 The Camera Obscura located behind the restaurant. It’s never open when I come to the Cliff House but it is a popular attraction (or so I’ve heard!). 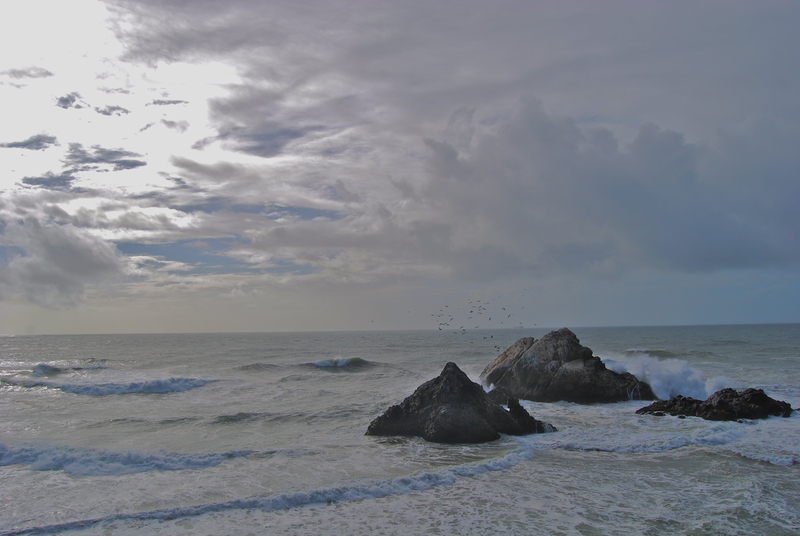 A view of Seal Rocks from the Cliff House. Feeling more connected and anchored by the minute with such a scene before me!